Have you had that awful feeling when your computer stops working and realize that your hard drive has crashed? You will be thinking about your most precious iems, such as, family photos, videos and important accounts etc. And you have now realised; you have not made any recent backups of all your data. Lost and gone forever? Not quite! Tip: Our advice is to stop using your PC straight away – continued use of your PC may overwrite data which could have been recovered. Our Hard Disk Recovery Service may be able to retrieve those important files. We normally work with disks which are accessible but which may have corrupt file systems or bad sectors. Your hard drive's circuit board may damaged or corrupted, but your data may still be recoverable. Method Two requires specialist software to retrieve data from a drive that has been formatted or over written. Cost: £100. Method Three is used when all other options have been eliminated. The Hard drive needs to be dismantled and the use of specialist equipment is required to extract the data. We will still work on a no fix no fee basis. We are a small family run business and hope to respond to your request within two hours. Offering a professional and friendly service is always high on our agenda, and is why we are on first name basis with nearly all our customers. Since we are based in the Welwyn Garden City / Hatfield area and only service a 10 mile area, our Engineer is able to respond to your enquiry promptly, a facility our many happy clients are pleased to have when their computer needs to be back up-and-running quickly. We can either work on your system on-site, or if it is more convenient and with your permission, refer it back to our workshop. Once your call has been booked and passed onto our Engineer, he will always call you before visiting to discuss your problem in a little more detail to make sure he has all the right information. 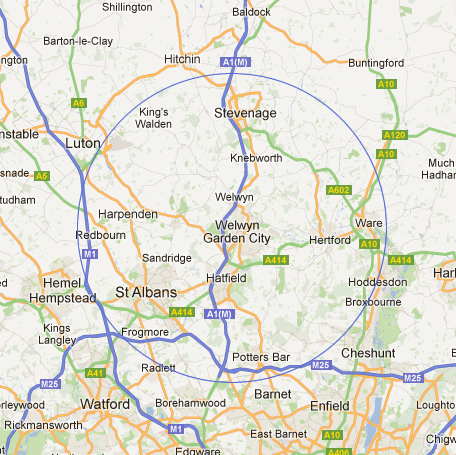 Our engineer is based in the Welwyn Garden City / Hatfield area and is available 24/7, anytime of the day. Please feel free to call him on 01707 336730 or 07747 652740. Or if you would prefer to contact us by Email or On-line Form, then please visit our Contact page for more information. Please remember, if we are unable to fix your computer, there is no fee. Prompt response, repaired quickly, very knowledgeable about the problem. Would recommend this service.